Sustainability & Scarcity addresses a gap in the literature on green building recognized by many in the fields of international development, architecture, construction, housing and sustainability. Rather than being based on the experiences of more economically-developed countries, this book describes the nature of green building in the developing world, elaborating the main issues that define sustainability in those particular contexts. Through more than 30 years of development work in design and construction in Africa and the Middle East, the author has seen well-intentioned development projects, both in theory and in practice, that ultimately do not contribute to sustainable development. Starting from the basis of green building rating tools used in the more economically-developed countries, the author draws from his own experiences to make available to other practitioners green building strategies relevant to the developing country context that promise effective solutions to their need for sustainable green design. 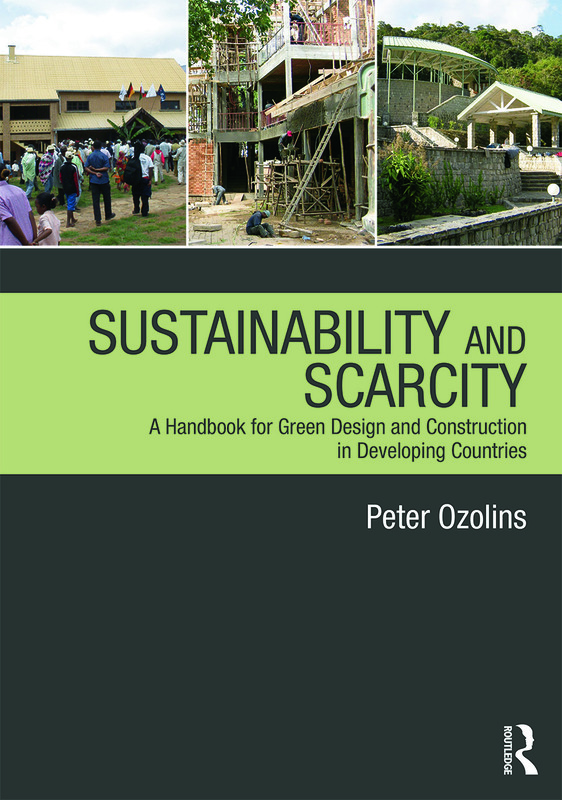 The book looks in detail at examples of buildings in Tanzania, Madagascar, Nepal, Haiti, and Vietnam, illustrating the application of the green building strategies described. Fully illustrated with drawings and full colour photos, the book is a practical guide for practitioners and policy-makers working in the poorest regions of the world. Sustainability & Scarcity is quite simply an essential handbook for anyone concerned with sustainable design and building in the developing world.